It's winter vacation and Sakura wins a trip to Hong Kong. Kero, skeptic of her luck in lotteries, questions whether she was merely lucky or was she summoned to Hong Kong upon inevitability. As Sakura strolls through Hong Kong's Bird Street, she senses an evil force calling to her. On chasing two strange birds, she is lead to a phantom world where she learns she was actually made to come to Hong Kong by a woman, Madoushi, who apparently wants revenge on Clow Reed. 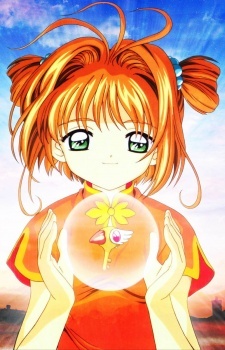 With Syaoran's mother, Yelan's help and the guidance from Clow Reed's voice, she must fight Madoushi and rescue her friends and loved ones, who have been captured.